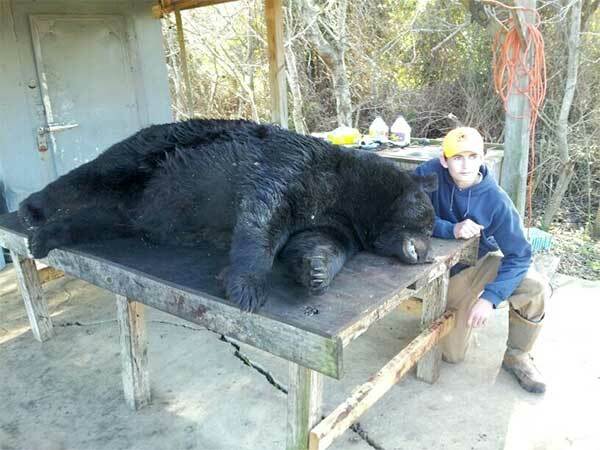 For the second time this season, a black bear took over the second-place slot for the state's heaviest bear. 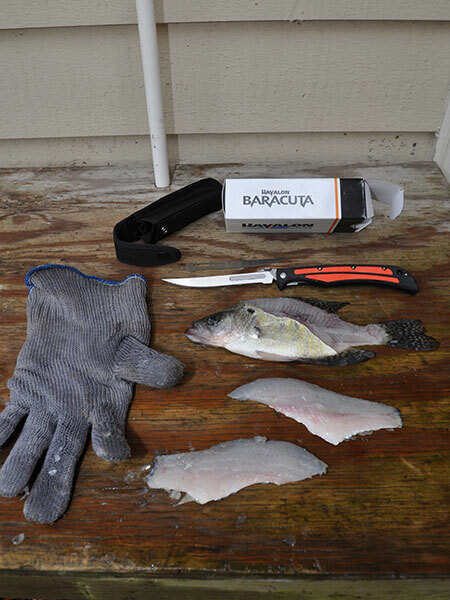 Sixteen-year-old David Honeycutt Jr. was participating in his first bear hunt when he shot the sumo-sized bear with a Marlin .45-70, lever-action rifle borrowed from his host, Phil Barker. He shot the 784-pound bear on Thursday, Dec. 18 at a private farm in Hyde County that Barker owns with four other partners. "We had been seeing this bear for a couple of months," said Barker, a building contractor from Wilmington. We turned dogs on the track at 7:45 a.m. and David shot it by 8:30 a.m."
The 7,500-acre private farm is adjacent to the Alligator River National Wildlife Refuge, which has one of the highest black bear population densities in the lower 48 states. The group of hunters also took a 581-pound and a 480-pound black bear later the same day, bringing the total number of bears taken on the farm this year to 16. "We try to take 20 bears a year off the farm," Barker said. "I have been hunting up there for 30 years. We have leased it since the early 90s before purchasing it nine years ago. 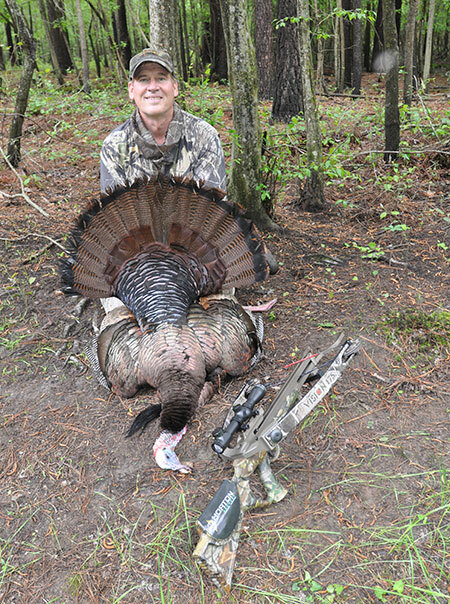 We hunt ducks, bear and turkey and had taken David duck hunting the previous afternoon." The farm has 3,500 acres of cropland and 4,000 acres of timberland. The hunters began by looking for tracks in the fields and roads. "One of my partner's sons, Harris Shaw, and my daughter, Ann McBride Barker were along," Barker said. "David is a friend of my daughter and they go to New Hanover High School. He said he would like to go bear hunting, so I invited him up. Keith Nations, who is from Silva, N.C., came from the mountains with his dogs. He is the leader of the hound group."